I'm sure Deborah is going to be thrilled with it! 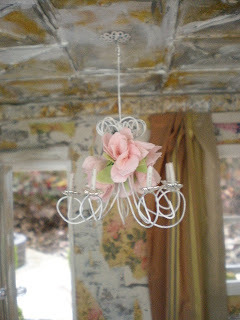 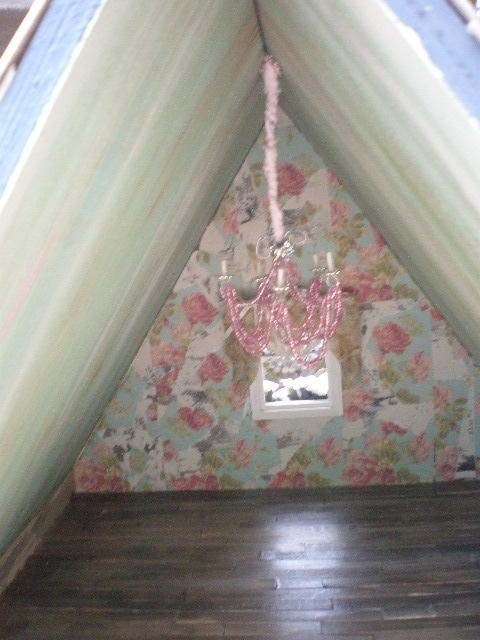 It is absolutely darling, I just love those little chandy's!!! I LOVE it! 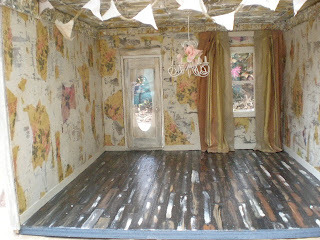 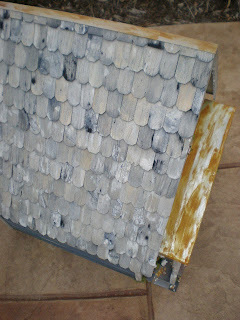 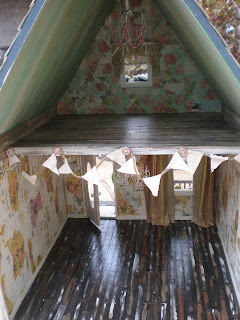 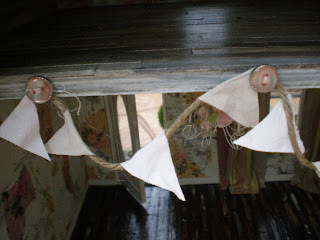 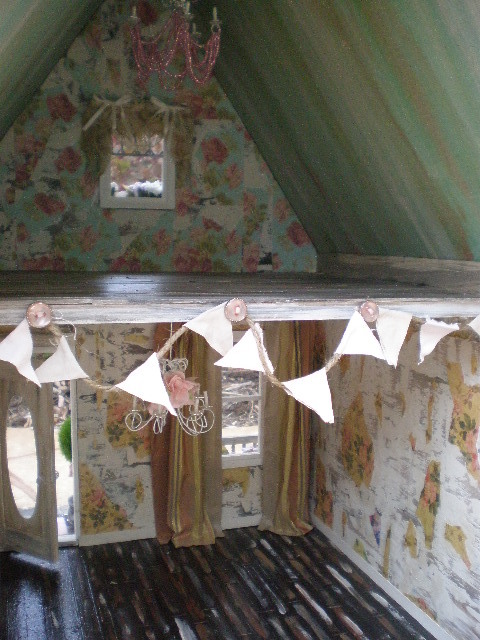 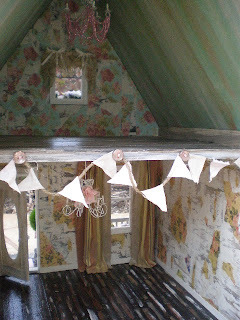 It's so adorable- the shingles look fantastic and I love the little housewarming bunting you have added- so cute!!!! 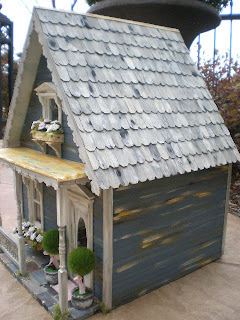 Estoy enamorada de esa preciosa casita. 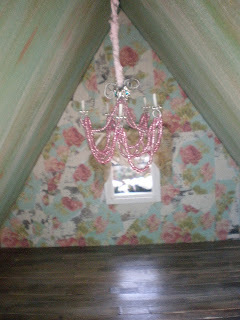 Las lamparas te han quedado perfectas, me encanta la que has hecho con velitas. 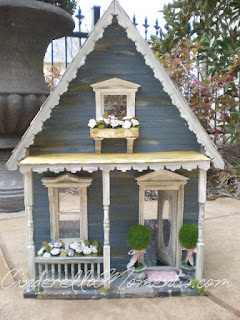 Caroline, you have done another fabulous job in creating this very charming mini abode. 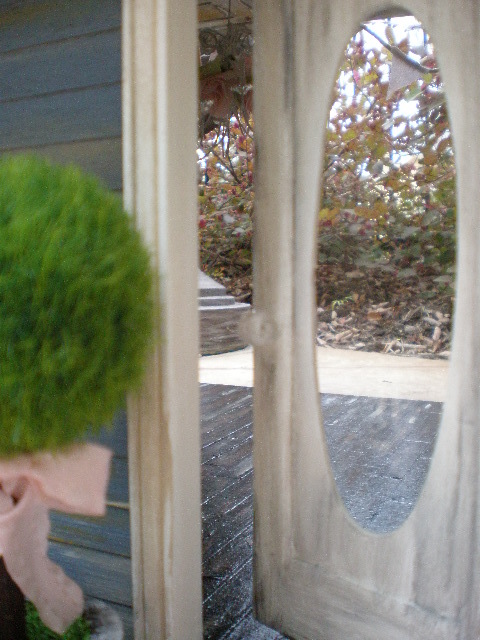 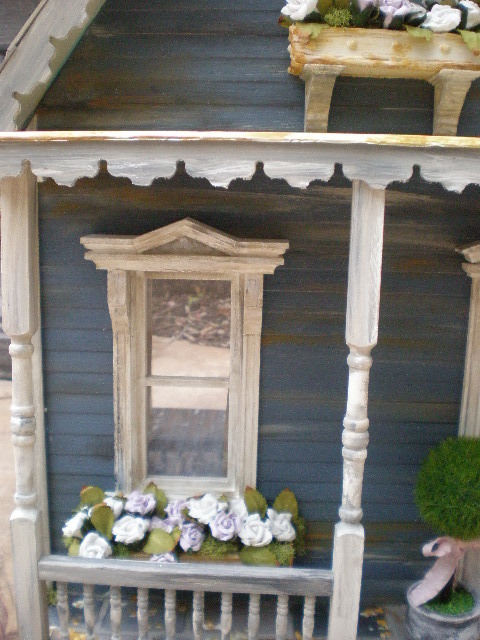 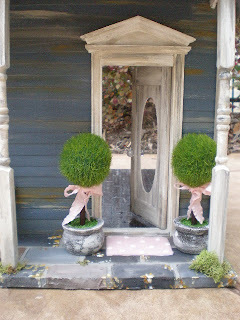 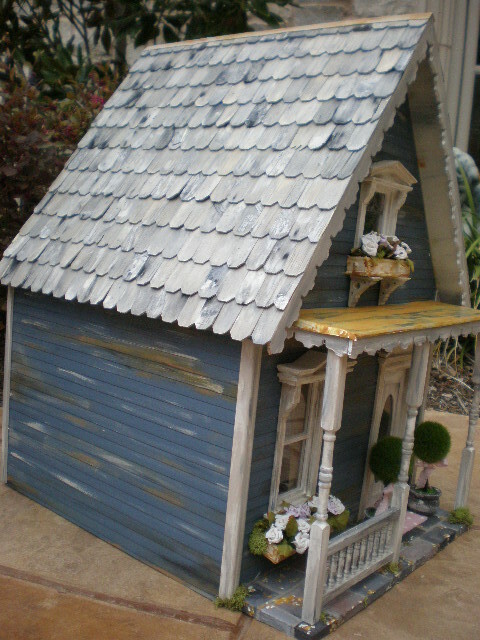 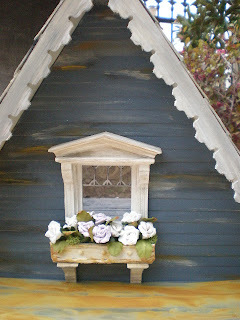 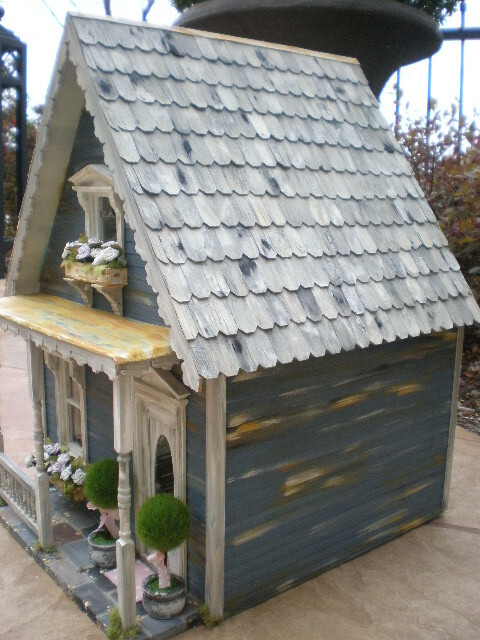 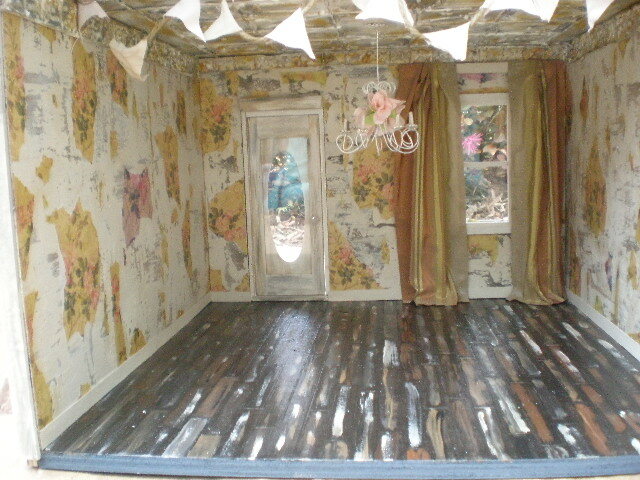 ps...I'm thinking that the six inch doll would probably work well with this little house of yours.